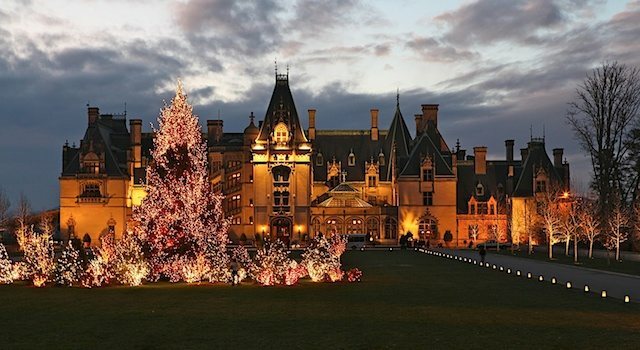 Experience a Norman Rockwell like Christmas as you enjoy these holiday events in Hendersonville, Black Mountain, and Asheville … where grand history is met with even greater holiday spirits. Kick off the season with Christmas songs, shopping and a countdown as Santa arrives to light up Downtown. Free visits with Santa and carriage rides after the lights are on. Will end by 8:00. Join the Apple Valley Railroad Club for a special Polar Express Story Party at the Historic Hendersonville Depot following the Christmas parade in downtown. Space is limited to 40 per reading and will last 15-20 minutes per reading.. Santa, free hot chocolate and goodies will also be available. All ages are welcomed. Enjoy the sights and sounds of the holidays from a horse-drawn carriage ride. 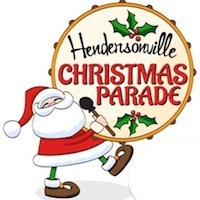 Take a magical ride through Historic Downtown Hendersonville among its twinkling lights and festive decorations. The serpentine street adds to the leisurely pace of the horse to slow down and savor the moment. Again this year the iceless rink will be located at the Visitor Center on South Main Street. Skating offers endless family-friendly fun. The synthetic ice skating rink is made from special polymers so it can be enjoyed year-round in any temperature. Friday, November 23 @ 5:00 pm – 6:00 pm on Town Square. Public invited and encouraged to attend. No Christmas is complete without the smell of gingerbread all through the house. 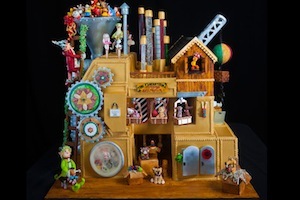 What’s even better … lots of spectacular gingerbread houses on display. 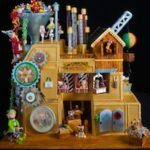 The 26th Annual National Gingerbread House Competition™ will be held on Monday, November 19, 2018. The winning creations will be on display Sunday, November 25, 2018 – January 4, 2019. As a means to preserve the overall guest experience, The Omni Grove Park Inn invites guests not staying at the resort to view the display after 3:00 p.m. on Sundays or anytime Monday through Thursday, based on parking availability and excluding holidays (December 23, 24, 25, 28, 29, 30, 31 and January 1, 2019). Please note that only Registered Resort Pets will be permitted. No outside pets will be allowed. Cost: FREE to enter the hotel and see the display. A minimum $20 parking charge will be in effect for all drive-on guests (one charge per standard sized vehicle, based on availability). Half of each parking charge collected this holiday season will be returned to the community in support of various local not-for-profits. Experience Asheville’s BRIGHTEST holiday tradition atWinter Lights at The North Carolina Arboretum. Walk through an outdoor winter wonderland and enjoy unique displays and landscapes composed of more than half-a-million holiday lights. Listen to the sounds of your favorite holiday tunes or enjoy a cup of holiday-inspired cocoa, cider or beer. 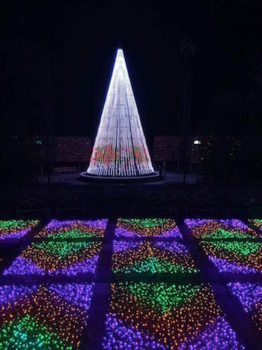 Proceeds generated from Winter Lights help support the Arboretum’s educational programs, exhibits and year-round. All tickets are date-specific and must be purchased in advance ($5 convenience charge applied when purchased at door on non-sell out nights). Guests must select an entry time (6:00 p.m., 7:00 p.m., or 8:00 p.m.) when purchasing tickets. Ticket holders may enter any time between their selected entry time and 9 p.m. (Note, if you are using a transportation service such as a taxi, Uber or Lyft, your ride must pick you up no later than 9 p.m. before the entrance gates close.) All tickets sales are final; no refunds/exchanges permitted. Cost: Ticket price varies by age. See website for details and pricing specials. A daytime visit to Biltmore is a feast for the senses. Wrap yourself in the scent of fresh evergreens as you admire holiday décor featuring wreaths, garlands, and the sparkle of thousands of ornaments on more than 55 glorious Christmas trees. The celebration continues across the estate, including colorful holiday blooms in the Conservatory, commemorative Christmas wine at the Winery, special menus in restaurants, and Antler Hill Village’s must-see evening illumination display. Buy your ticket seven or more days in advance and save $10 on each admission! Cost: Varies based on visit day and when you buy your tickets. 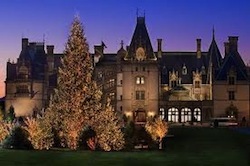 In most cases, the Biltmore offers BIG discounts on advanced ticket sales. You can save up to $10 off per ticket if you buy your tickets 7 days in advance. Some blackout dates do apply. Click for savings and ticket information. 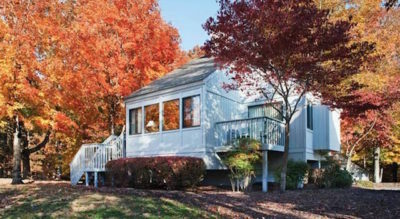 Cost: Varies based on visit date.